A major agreement has just been signed between All On, an investment company (supported by Shell) that works with off-grid suppliers in Nigeria, and Bank of Industry (BOI), the country's largest investment bank. In equal parts, the two institutions will invest $1 billion in N'Delta Off Grid Energy Fund, for the supply of off-grid energy in the Niger Delta. “In the Niger Delta, the majority of the population lives in rural areas and only 34% of them have access to the electricity grid. As a result, SMEs (small and medium-sized enterprises) in the region use expensive and inefficient diesel and petrol generators, which increases their operating costs, families cook with firewood or kerosene while children study with pocket lamps or candles, with all the health and safety problems that this entails”. This observation is made by Olukayode Pitan, the director of Bank of Industry (BOI), Nigeria’s largest state-owned development bank. Olukayode Pitan made these remarks during a speech in Lagos, the economic capital of Nigeria. It was during the signature of a major partnership between his bank and All On, an investment company supported by Shell and investing in off-grid suppliers in Nigeria. Together, the two institutions plan to invest $1 billion in N’Delta Off Grid Energy Fund. The fund was created to support off-grid energy projects in the Niger Delta. Off grid is now considered a key solution to ensure access to energy for rural populations and SMEs in Africa. In Nigeria, everything is being done to promote these systems, which are very often based on renewable energy sources such as solar, wind, hydroelectricity, biomass and biogas. In fact, the Ministry of Energy now operates with an off-grid system with a capacity of 750 kW. It was installed by Proserve Energy Services Limited. The stated objective is to show the way for Nigerian companies. 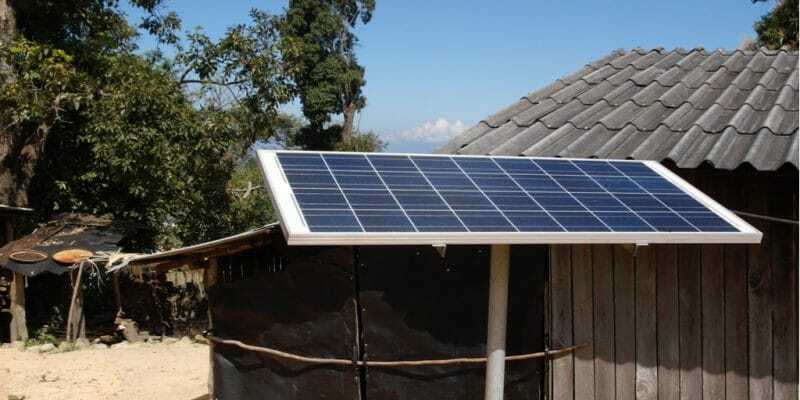 The money BOI and All On will invest in N’Delta Off Grid Energy Fund will boost the off-grid energy sector in Nigeria, which is now receiving the attention of several development partners. All the funds promised by the two financial institutions will be managed by the BOI. According to its Managing Director, N’Delta Off Grid Energy Fund will then provide the local currency (naira) debt financing line to facilitate the deployment of off grids by private producers in the Niger Delta at an interest rate of 10%, with a one-year moratorium and a seven-year term.